My life is a building, God is the Architect. Contrary to how it may look to you right now. In-spite of what it may appear like to you. Regardless of the smile I may have on my face and prayerfully the delightful, compassionate, and loving disposition I try to portray. Beyond the gorgeous Ankara top and pencil skirt - I don’t have it all together. When you see me, I pray that what you see is good. However, what you don’t see and don’t understand is that this woman behind the screen is a work in progress. You are looking at a construction area. There is some hazardous material that is falling here and there is some hammering and drilling going on. There is some stuff that is taking place in the construction area that actually should cause me to wear a sign around my neck that says 'Danger Construction Area Keep Away. God Is Working Here'. You may also be under construction, you don’t have it all together but please relax. God is not through with you yet. This morning as I began to question what "under construction" means, I had to dig out the dictionary and found "construction" defined as things like "the way in which a thing is constructed" and " the arrangement of two or more forms in a grammatical unit". At the end of the list was "A PUTTING TOGETHER". Hmmm, to "construct" means " to form by putting together different parts" and " a complex image or idea formed from a number of simpler images or ideas". So then when we say we are "under construction, we are saying we are in a state of being "put together." God is putting you together. Amazing, isn't it? Although you are perfect in Christ, you are not yet "finished". Read Also: Who Are You Becoming? 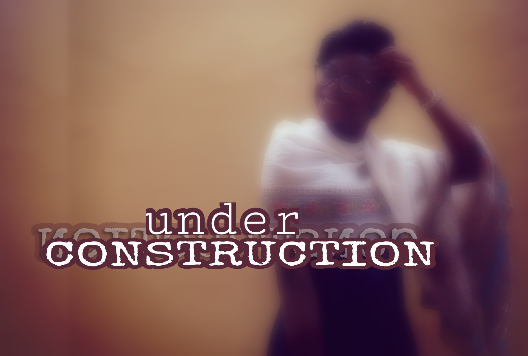 By now, I'm thinking the word "construction" is not sufficient for what is happening in my life. I am not only being constructed, I am also being de-constructed. Renovation might be a more accurate word. So I decided to look that up too; "renovate/renovation:" to make new or as new again", "to replace old with new, repair". Aha, that is what God is doing in my life! 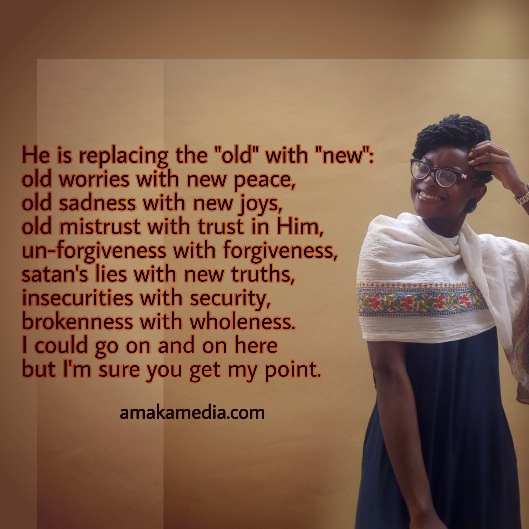 He is replacing the "old" with "new": old worries with new peace, old sadness with new joys, old mistrust with trust in Him, un-forgiveness with forgiveness, satan's lies with new truths, insecurities with security, brokenness with wholeness. I could go on and on here but I'm sure you get my point. Though I have the perfect Spirit of Christ, this flesh is still under Renovation. God is taking away the old and replacing it with the new! Yes, Lord. Rip it down, Lord. Tear in out right down to the very roots and foundations and give me nothing but "The New". Sweets, if you have gone through a house renovation you will know it takes time and a great deal of commitment and patience. So the next time you are thinking, "there is a lot of work to be done", "time is going by so fast" or "there is no time left" remember you are "Under Construction" and it takes time, commitment and patience. So Relax! RELAX, REST, TRUST IN HIM as The ARCHITECT OF YOUR LIFE ! "Relax, everything's going to be all right; rest, everything's coming together; open your hearts, love is on the way!" Do you have a sense of how God is using your current circumstances to build you up for greatness?